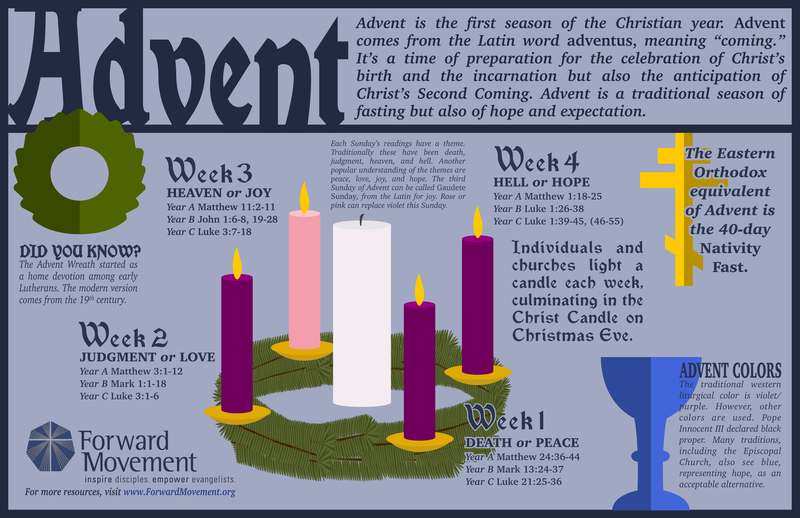 Dr. Christopher Corbin, in partnership with Forward Movement, offers an easy-to-share (and understand) infographic about Advent. The infographic is designed to be both shared on your social media platforms as well as printed in sizes up to 11×14 inches. Download a PDF or JPEG.